Now correct me if I'm wrong, but, I'm pretty sure the majority of the population want or own this palette and I thought it was about time I bit the bullet and purchased one on a whim. However, it's apparent that no matter how many months you wait, this palette will come into stock once and be gone before you have a chance to even bat an eyelid at it so, I took to Depop to hunt it down. 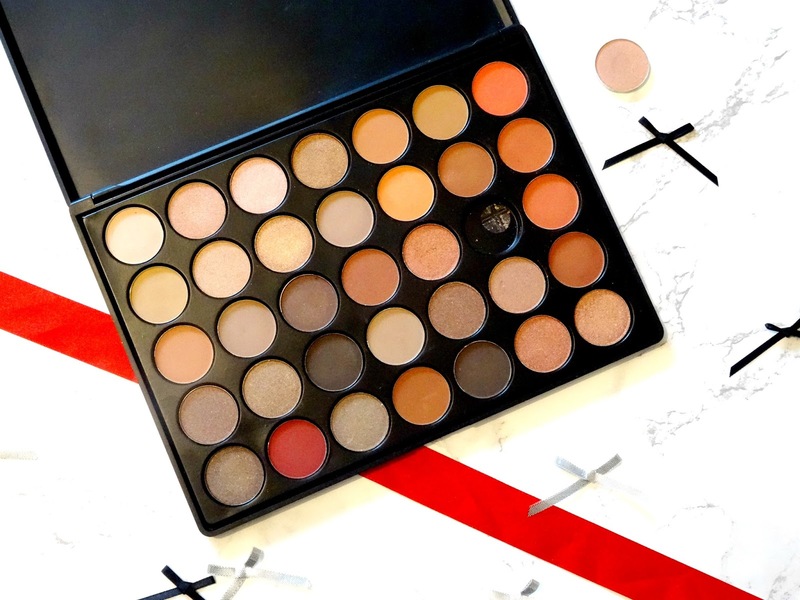 People are selling this palette for extortionate prices, some even £50! So when I saw one for £22 I nabbed it up and considering the seller informed me that it was genuine but couldn't provide proof as she got it for Christmas I just went with it as I didn't think anything could go horrifically wrong. I've already got the 35T in my collection which I purchased via Beauty Bay, meaning I'm aware as to what I'm looking for in terms of appearance, feel, design and quality of the palette. 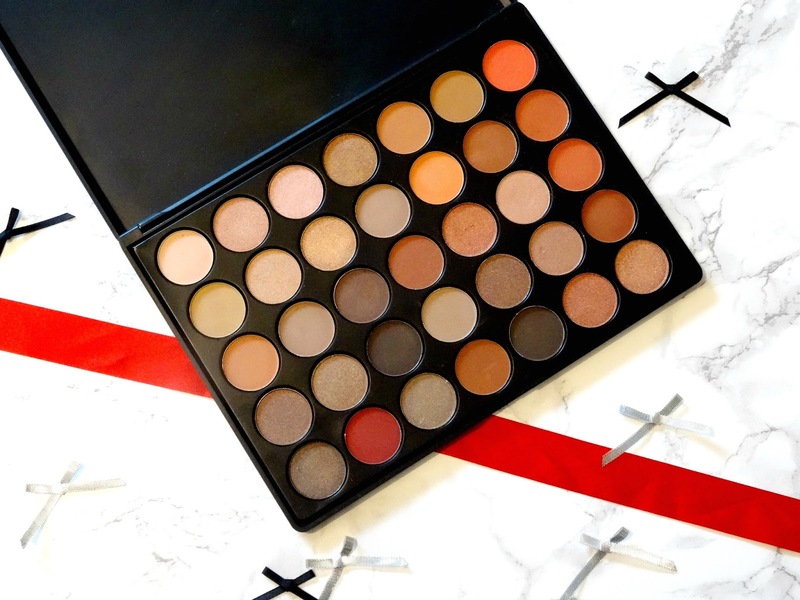 Anxiously waiting for it to arrive I googled the palette to view the swatches and colour range thoroughly so I knew what to expect, but, as soon as the palette arrived the alarm bells sounded. When I received the package, it was securely wrapped in a hundred layers of bubble wrap with fragile written all of it which I was pleased to see. But everything goes downhill once it's unwrapped. 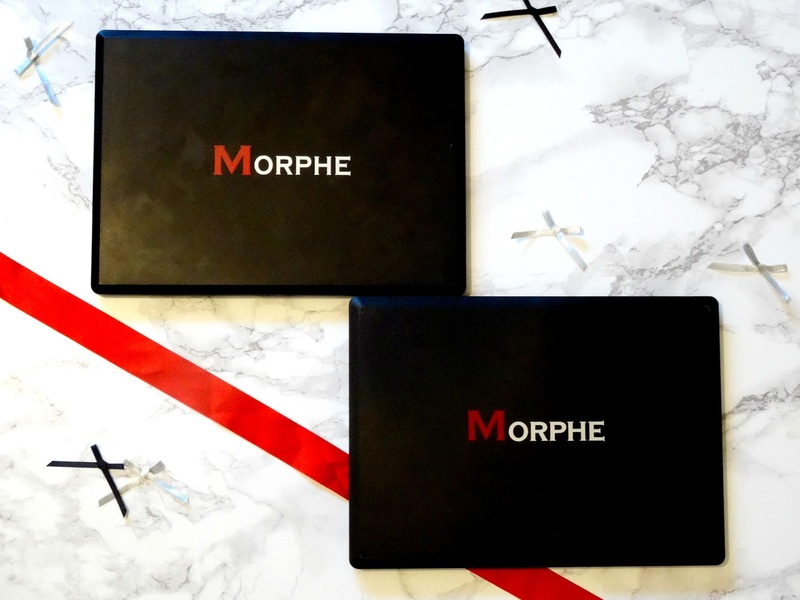 The outer black packaging which has Morphe written in the middle, the M appears to be a deep blood red, darker than the usual M, as well as that when you turn the palette over the sticker which normally appears in the bottom right corner has a black background with white writing, unlike the usual silver background with black writing. What I have also noticed is that the background inside the palette, space the pans fit around and into, is coming away from the edges of the palette itself, creating a wonky gap at the bottom. So as I opened up the palette, one of the pans automatically fell out, which I don't think was down to the postage, just the faulty production of the palette. You think it's bad so far? Just you wait until you see the colours you get. If you google the Morphe 35O palette you can see that on the top row there is an array of bone and neutral browns, the odd shimmer and a warm orange but in the palette I bought came a cream, three shimmers, two browns and a coral orange. Likewise, when you look at the bottom row there is a random burgundy red thrown in for good measure... Not quite the exact shadows which compare to the genius ones online. What baffles me most about this palette is that there are duplicates of the same shades in this palette just dotted about so you don't get a full 35 pan palette of individual shades. As for the pigmentation of the shades, I'm pleasantly surprised. 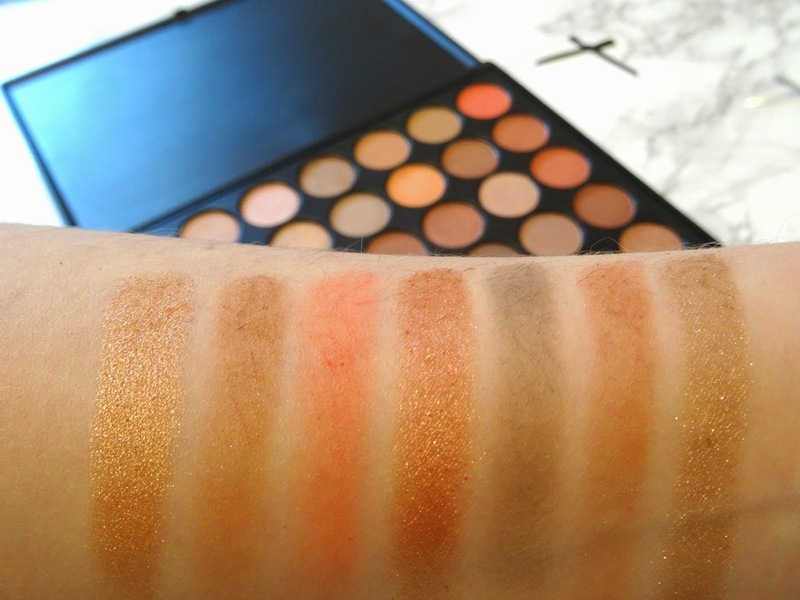 The colour payoff from the shimmery shades is far better than the mattes which are understandable, however, the lighter matte shades within this palette need more than one application. They can be a little hard to blend but spending that extra two minutes working on your eyeshadow won't hurt! Is this just a dud, genuine or fake? After experimenting with the palette and comparing it to ones online and my 35T I know what I'm thinking... Let me know your thoughts down below, what do you think? Is it worth waiting and getting the real deal? Thanks for reading.